moreover are very sensitive which would result in retracting of its polyps immediately. Found majorly in the Indo-Pacific region, around Australia and in the Red Sea. They extend their polys in the day light and retracted at night time. Very colorful from red, green, pink and there are mix variation in them as well. They require bright lighting, good flow and fine food particles for its living. 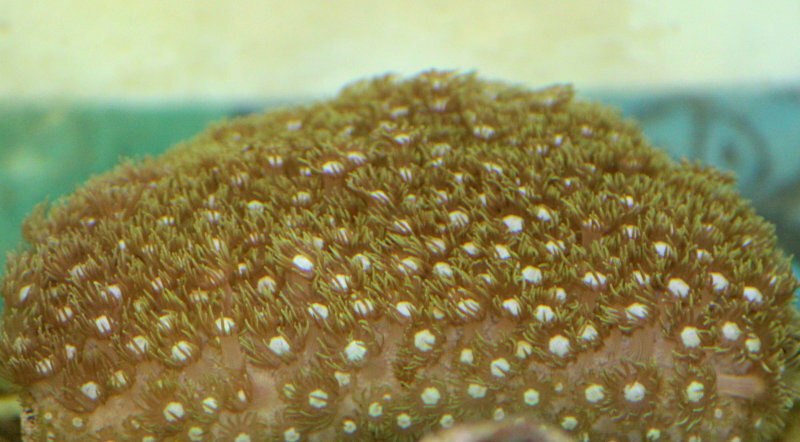 So, when looking at a Flower Pot Coral you should see that it is fully opened with its polyps extended large. If the polyps are not showing or are retracted most of the time check water parameters. Most importantly placement of this coral is very crucial in the tank, wrongly placed can cause lot of damage and stress. There is no size specification in this because it is a stony coral. So, frag cuts are sold in most of the places. It is better to dip the coral in reef dips and acclimate before adding the display. Similarly, yet again these Flower Pot Corals or the Goniopora Coral are stony corals and are banned in my country. So, pretty much what ever you are getting are off the black market. Must Read: Euphyllia ancora known as the Hammer or the Anchor coral and Want to Buy Marine Fish Online in India?